Another from my mom's collection, this recipe is great for parties or every day. You can pair it with cut vegetables or triangles of pita bread. It is also great on sandwiches, spread on bread as you would mayonnaise. In a small skillet gently shake sesame seeds over low heat until very lightly browned. In a food processor puree seeds, garlic, salt, pepper and 1/4 cup oil until smooth. Add chickpeas, lemon juice and remaining cup of 1/4 cup oil. Process until smooth. Serve with vegetables or pita bread. 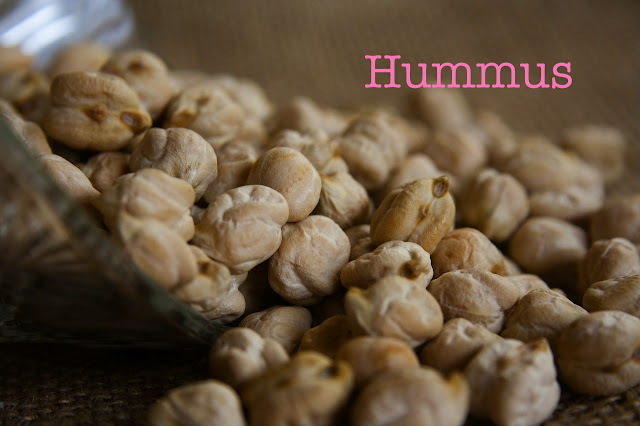 *You can use 2 cups of cooked chickpeas prepared from dry if desired. Preparing dry beans is a simple and easy way to save money and control your ingredients at the most basic level. While healthy, this is definitely NOT a diet recipe!